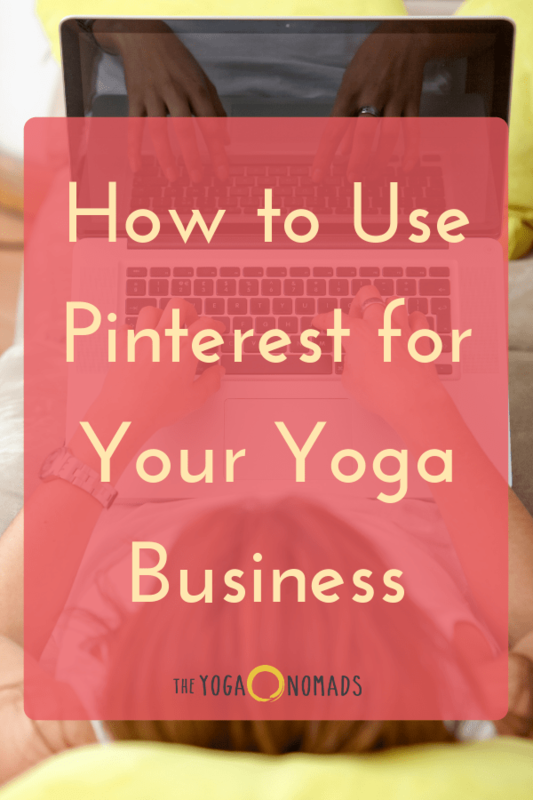 The strategic use of Pinterest has the ability to transform your yoga business. Pinterest isn’t a social media platform. It’s a search engine that may just be full of your target customers or clients. The depth and reach you can attain with Pinterest is vast, and will compliment Google nicely. 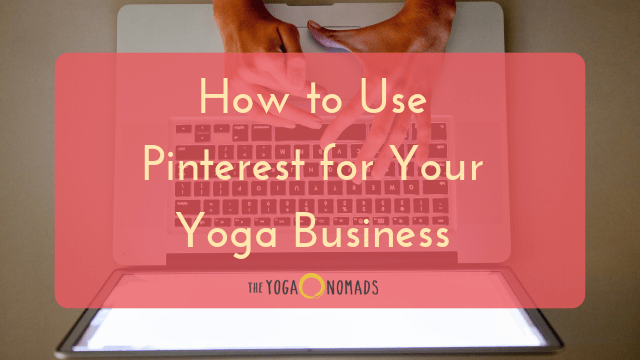 I am here to share how to use it for your yoga business. If you’re sighing and thinking, “Ugh, another thing I should be doing…” Hear me out! 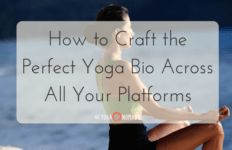 I’ll go over the basics so you understand it’s role in how it can help your yoga business. Maybe you’ll read on and realize that Pinterest is the strategy you’ve been missing. Or maybe you’ll realize Pinterest isn’t for you at all and you can move on with your day! Pinterest users are active! 70% of Pinners search, save, or click on a Pin. Pinterest users have higher incomes, are actively engaged on the platform, and love to use Pinterest to engage with brands and plan purchases. They’re mostly women, but more and more men are joining Pinterest. You know what I’m about to say. Yes, just like any other marketing tool, you need a strategy for Pinterest. Who are my ideal clients or customers and what are they interested in? Once you have the answers to those questions mapped out, it’s time to optimize your Pinterest profile. Optimizing your profile is important because you want to make sure that anyone who clicks on it can figure out in a few seconds who you are and what you do. Make it personal. Remember, people connect with people. Use a photo of your face if it’s relevant to your brand, rather than a logo! Include a short description of what you do and a CTA in the description. What would you most like people to do after seeing your profile? Do you have a free gift? A popular blog post? Link to it and use the description to tell them to click! 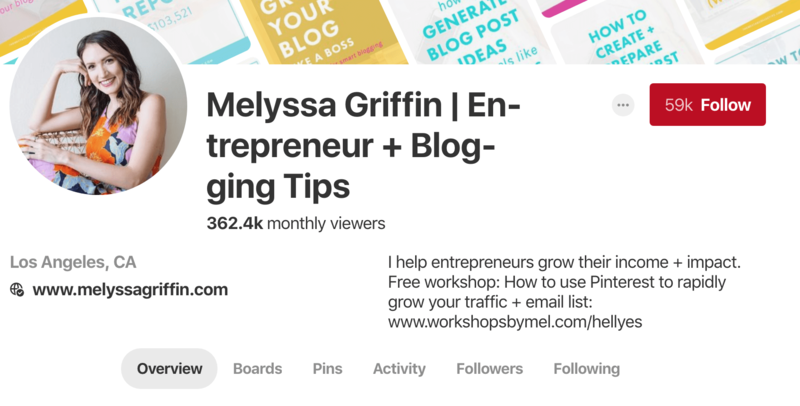 For more Pinterest strategy tips, I like this podcast interview with Melyssa Griffin on Pinterest growth strategies. Pinterest also uses something called boards to organize content. You can group your relevant content together into categories, and people can follow those specific boards. Use a keyword-rich title. Are you surprised? Don’t forget that Pinterest is a search engine, so yes, it’s all about the keywords. Don’t think simple, generic keywords like “yoga,” think detailed and specific keywords that people actually use when they search, like “yoga poses for low back pain,” or “new moon rituals.” People can filter search results on Pinterest by boards if they’d like, so get your boards ranking with optimized keywords! Don’t forget the description box. The board description box is tempting to skip, I know. But don’t! Using detailed, long-tail keywords in your board descriptions like the examples I gave above will help the right people find your boards. Choose a category. The category options are pretty broad and your board might not seem like an exact fit for any of them. Just try to choose the most relevant one! Create a cover photo. Of all of these tips, this is the only one that’s really optional. Cover photos won’t help people find your content more easily, but it will improve your branding, make your profile look clean, and make the content of each board super clear to anyone considering following you or any of your boards. The great part is that once you set up your profile and get your boards ready to go, the foundation is laid and the hardest work is done. Now, it’s time to create some content for those boards! If you’ve ever used Pinterest, you know that it’s super visual. The best pins are long, visually appealing, and have clear text overlaid on the visual itself. 1. Get the right ratio. According to Pinterest, “Vertically-oriented Pins look best on mobile screens, so make yours stand up nice and tall, with a maximum vertical aspect ratio of 1:2.8.” Longer pins take up more space on the screen, which makes them stand out more. 2. Choose a great photo. It makes a difference! Photos should be visually appealing, striking, and relevant to the content. 3. Use clear text over the photo. 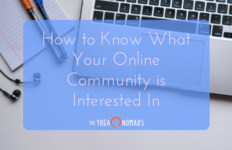 Let Pinners know what your post is about with a clear title over the photo like “Thailand travel guide for yogis on a budget” or “3 restorative yoga poses for the root chakra.” You can use a free program like Canva to do this! 4. Include your logo. Let people know who you are with a tasteful logo. 5. Write a great description. Descriptions should be detailed, clear, full of keywords, and include a CTA. Make sure you tell Pinners why they should click, and don’t forget to tell them to click! Pinterest has a great creative guide for pins that you can read for free here.